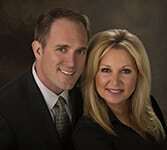 Lane and Rebecca were both professional and caring as they helped my mother buy her new condo and sell her house. They patiently answered questions from her and our team of siblings. They gave practical advice about how to prepare her home for sale. They did their jobs very efficiently, but they always considered our needs and questions.